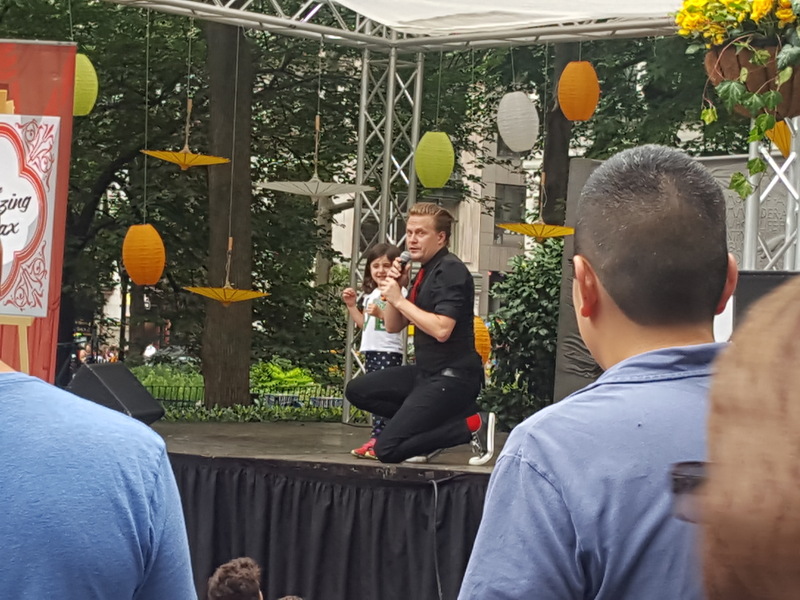 I think this was my 3rd year performing at Madison Square Park Kids Fest? Maybe my 5th. Maybe my 67th. I’ve lost count. It’s an incredibly well run event with TONS of things to do for kids. The weather turned out to be great and we caused a big ol ruckus. in front of the round fountain at the north end of the park. (don’t know if ithas a name…) The fountain was dry as it had been drained for the event so no one could fall in. 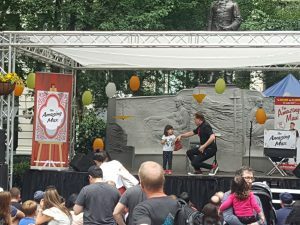 After the show I cranked up my music as loud as the sound guy would let me and, mic in hand, persuaded 200 kids to JUMP into the empty fountain and dance their faces off! It became our mega dance floor. I ended up getting a ton of hugs, including one where thirty kids barreled at me and I almost fell over. A 30 kid hug will do that to you. It was a GREAT day and I hope everyone at The Madison Square Park Conservency feels like I did, that it couldn’t have gone any better. Hope to see you all there next time!